NLD Native Language Translations HERE Maps now working again! Hi again all. A much shorter release window this time around this time targeting some NFZ improvements, NLD 1.8.0.1 was released on the 29th. Firstly, we tidied up an issue with the NFZ patch on the P4A for more reliable patching. Since we designed the new NFZ patcher there have been some new firmware releases and each new firmware for each new bird requires a custom patch writing, we bucked down and got all seven of these written and deployed. As a side note. Currently there are two NFZ patching methods, one works on newer firmware (the NFZ Patcher in the left menu bar) and one is for older firmware (the Remove NFZ checkbox in the Flight Controller). Make sure that you understand the difference, basically, if one isn’t compatible with your firmware, check the other one as it will probably work! The Access Violation error introduced with 1.8.0.0 seems to mostly be affecting users who have a drone plugged in before starting the app, or unplug the drone before closing the app. 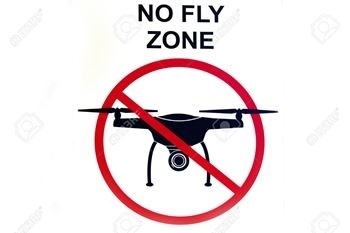 Make sure you start the app first, then connect your drone. Perform your mods, close the app then disconnect your drone. The native language translation portal is completed and launched early this week. Everyone who has submitted a translation request so far has been contacted and we will be introducing languages as soon as our lovely users make them available to us!